Josaleene started out as a poor girl raised by her mother. Never having anything of her own growing up, she dreamed of one day meeting a rich Noble to take care of her. Desperate to change her ill-fated future, she carefully planned a way to get into one of their lavish parties with the hopes to meet one. A Noble wasn't just some rich human. A Noble was much different. They were a race of human creatures who were broodingly dark, beautiful and powerful. They all lived within an enormous palace under the peaceful rule of their leader, The Patriarch. To become a Noble, you had to be chosen and turned by dark magicks. And then leave all thoughts of a human existence behind. Poor, destitute Josaleene just wanted to be Chosen and turned into a Noble, to live in the palace and never want for anything again. She did not expect to fall in love, to be loved in return, or to be thrown in the middle of an ages old war that threatened to wipe out all life. Learning that Josaleene may have to sacrifice herself to save everyone’s lives spurs her Noble lover, Dartein, into action, sending him racing across the land for answers to save her. Will he find what he needs to save their love? Or will they end up paying the ultimate Blood Price? 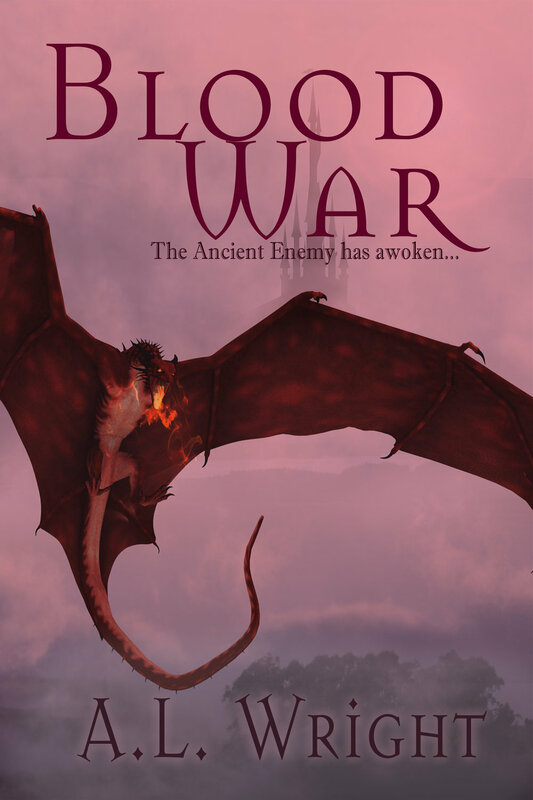 Dartein’s story continues in Blood Ties, sequel to Blood Price. In Blood Price, Dartein and his Chosen love, Josaleene, were expecting a child. Fate and prophecy had sent him across the land, desperately seeking answers to save the lives of those he loved most in the world. Dartein had fled the Palace with his newborn daughter to raise her in peace. But peace did not last long, as the war that began to threaten them all years ago looms once again on the horizon. Determined to fortify his new holdings against the goblin hordes, he sets out to seek the helpful skills of a blacksmith, and in doing so brings a human back to his home that unwittingly begins a domino effect resulting in a reunion with his father, The Patriarch. Nikkola grew up in relative quiet and safety, protected from the outside world by her father, her father’s guard, and a bevy of Noble fighters and rangers. Growing up around all men, she is excited to meet the blacksmith her father brings back to the Keep, a human female named Friesa. The girls become fast friends and sneak off to consult her mysterious and unknown grandfather on turning Friesa into a Noble. Her impromptu trip to the Palace of The Nobles introduces her to a whole new world of power and a glimpse into the magic she never knew she possessed. In the conclusion to the Noble of Blood Trilogy, the Nobles find themselves in the middle of a quickly escalating war and move to action against the oncoming goblin armies. Separated across the lands, the Nobles each work on their piece of the war-plan as the goblin threat grows larger by the day. Mortul rushes to the defense of his town and Palace, while his son and fellow warlocks act on plans to help them increase the size of the Noble armies. At the Noble Palace, Friesa wakes from her slumber with Tynen to discover she’s now more than just a blacksmith. And just in time for the goblin assault on the town. Nikka continues to grow into her powers, discovering more and more each day what she is capable of. Just when the strength of the goblin armies look to overwhelm them, she devises a plan to take their fight to the heart of the Enemy; the ancient wyvern who leads the goblin armies in effort to finish the war that had begun 1100 years earlier. The entire Trilogy in one eBook! All Covers on this page were designed by NBBCovers.net.